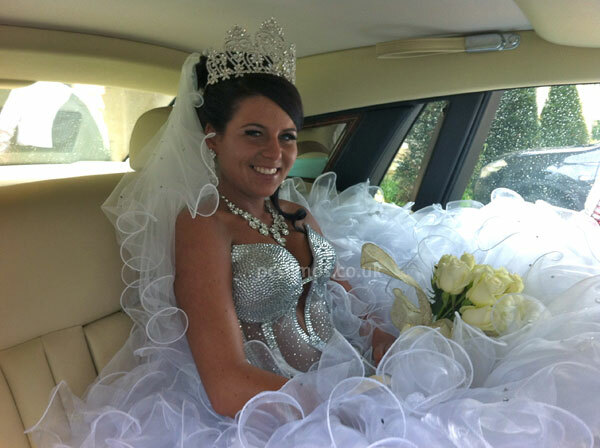 Gispsy Wedding Rutland and Lincolnshire – Mr Doran daughters Wedding from Oakham to Barnsdale Hall Hotel Rutland in the White Rolls Royce Phantom. You will be pleased to know that your wedding at Barnsdale is as unique as you and your partner. Whether it is a small intimate gathering or a large celebration each aspect of your wedding and wedding reception is built around you and your wishes. This entry was posted in Wedding and tagged Gispsy Wedding, Wedding, Wedding Cars, White Rolls Royce Phantom, White Wedding Car on June 19, 2012 by Michael Hele.